Beauty without health and function is dentistry of minimal value. Dr. Palmore and his team are dedicated to providing lasting, comfortable, lifelike results. That combination is the real beauty of advanced dentistry. This level of results requires careful consultation, thorough planning, advanced training, and a desire for excellence. By using the latest technology, the most effective materials, and comprehensive evaluation, we are able to provide state of the art care. These advances are a blend of health, function, and beauty. 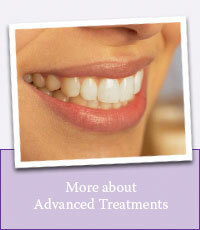 Porcelain veneers possess amazing strength and beauty. 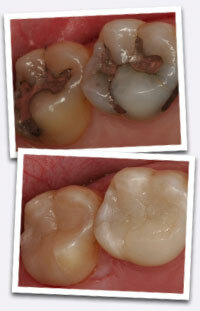 Bonded ceramic onlays reinforce teeth rather than create a wedge and hide disease like huge amalgam fillings. We work very closely with our master ceramic artist to insure a perfect fit and look for every restoration we create. There are many reasons to pursue an advanced level of care. Click to find out why we suggest it: Is Upgrading the Answer?